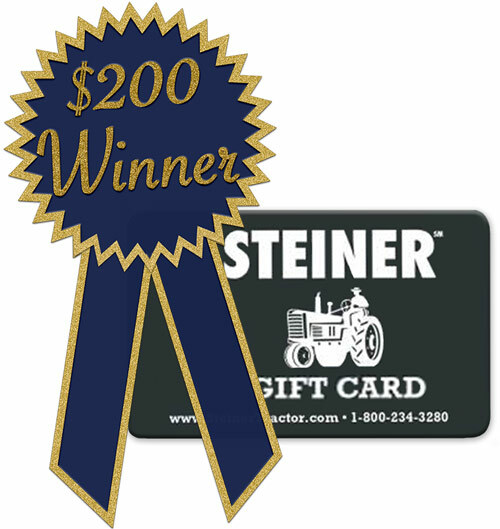 The winner of November’s $200 Steiner gift card is Don Ballweg of Columbus, Nebraska. 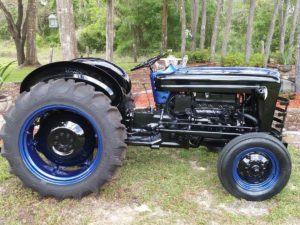 Don has been a Steiner customer since 2016 and is a fan of Ford tractors. Congratulations, Don! 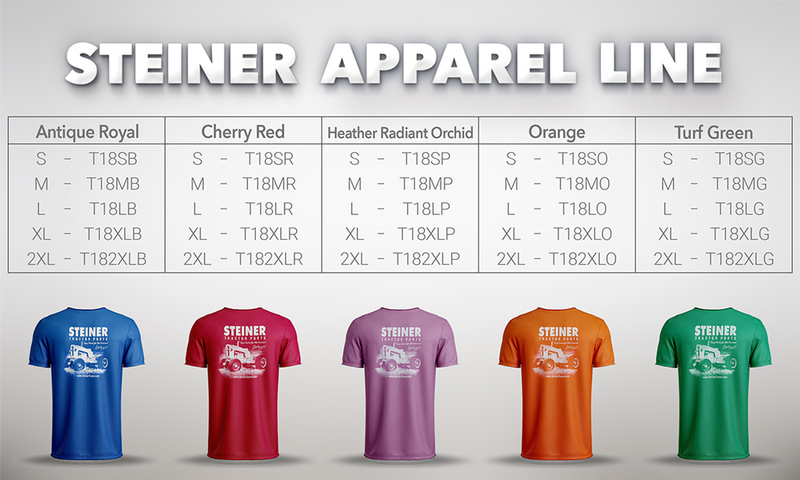 The winner of October’s $200 Steiner gift card is Sam McKnight of Washington, Indiana. 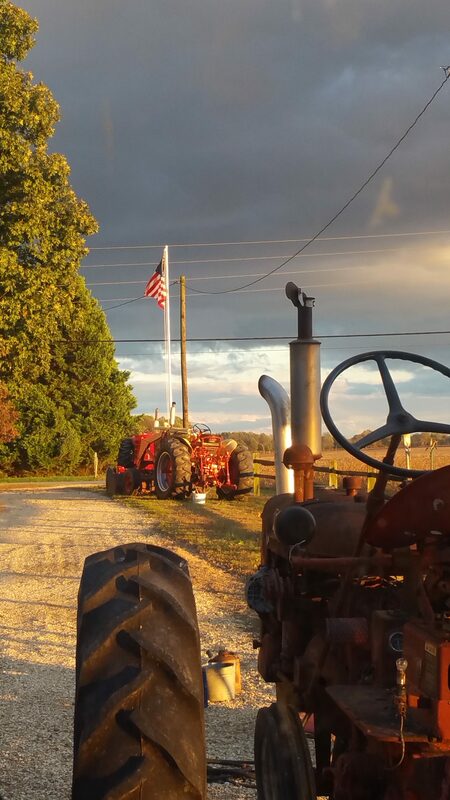 Sam has been a Steiner customer for 3 years and is a fan of Ford tractors. Congratulations, Sam! 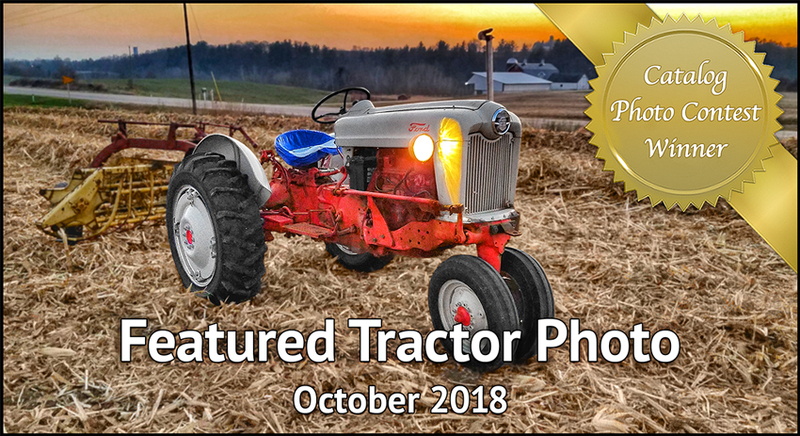 October’s featured photo was submitted by Jason Anderson and features a 1957 Ford 900 series owned by Rich and Mary Houzner of Elroy, Wisconsin. 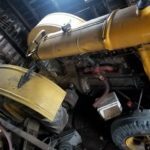 About 6 years ago the Houzner’s were in need of a tractor to handle some of the smaller jobs around the dairy farm. When they found this Ford tractor they liked the old style and thought it’s smaller size would make it suitable for their young boys as they started learning to operate farm equipment. 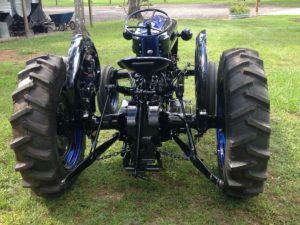 This Ford tractor has done all that and more! 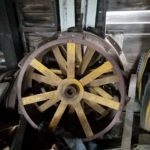 It’s become a family favorite to rake hay and corn stalks with and was the perfect edition to the Houzner’s all Ford / New Holland implement fleet. To view all the 2019 catalog photo contest winning photos, click here. 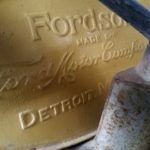 In 2016 we found this old 1958 Ford 641 on the side of the road, not running and in pretty poor shape. We were able to finally get it up and running replacing most of the main engine parts and tires and we are very proud of how it turned out. We run a Law Enforcement – Children’s charity called the Police & Kids Foundation and the color scheme is a very bold Black with Thin Blue Line accents to represent law enforcement. 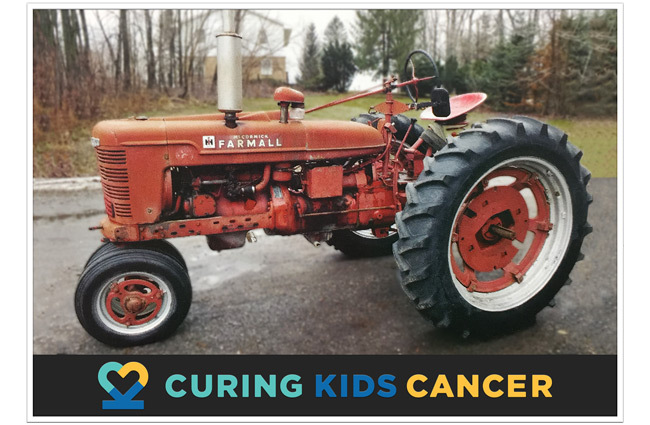 The tractor and a 1965 Ford F100 we’re currently working on will be used to educate others about the charity throughout Florida at special events and parades. 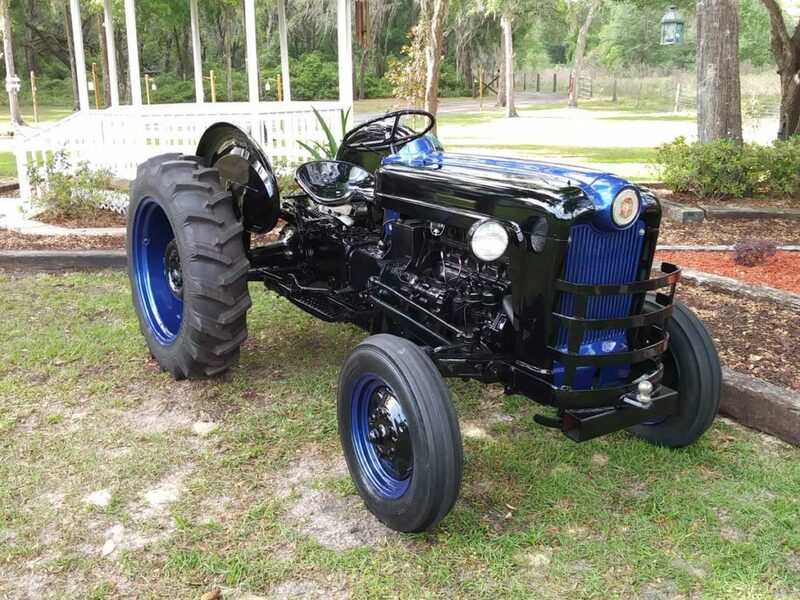 Read more Ford tractor stories here. 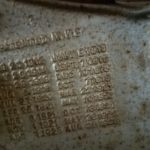 My family has been on our land since the 1920’s. It is a small 8 acre plot in Ohio. My Grandfather was born here on this land in 1932. My father was born on this land in 1968, and passed away in 2008. I was born on this land in 1987 and both my kids were born on this land in 2011 and 2015. 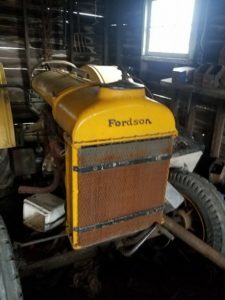 My grand dad would tell me that they used the 1926 Fordson tractor for every little thing. He would help the farmer’s around us with any thing they needed. All of the land around us has been developed or sold off. Wish I could go back to the old days and see it all. 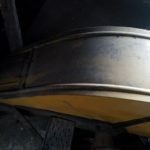 The Fordson has rubber wheels on it now but the steel wheels are in the barn. I need to get new plugs and wires so I can get her cranking again.